The song follows the title track from the Sacramento, CA band’s eighth studio record, which was produced by Def Leppard guitarist Phil Collen. Fans will notice the Leppard influence on the lush production of the background vocals on the latest tune, while guitarist Dave Rude had his hands full in the studio. "'Taste Like' is a driving rock song that made Dave’s fingers bleed during the recording process!” says the band. 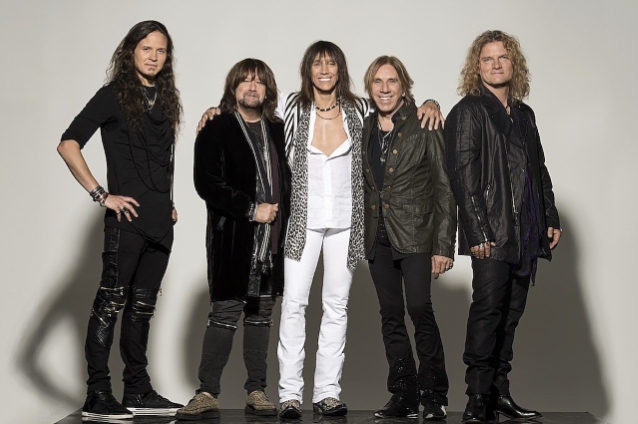 A month ahead of its release, Tesla are already giving fans a taste of the record in concert after kicking off their 2019 live schedule last week; the group will join Def Leppard for a summer tour of Canada in July. “Shock” will be available via CD, digital, black vinyl, and limited-edition translucent blue vinyl formats.